Just returning from a tour in Japan, Randy invites us into his house “virtually” to ask questions. 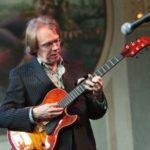 A great chance to learn from one of jazz guitar’s great Masters. Randy Johnston’s class was informative , and done clearly and with a friendly and patient vibe. Totally worth it.